Pyramid Trek Midge and Tick Repellent is ideal for outdoor enthusiasts, walkers, gardeners or anyone spending extended periods outdoors during midge season (usually May to September here in the UK). Made using advanced time-release technology, once applied to the skin the repellent is released slowly throughout the day to give up to 12 hours of protection. Pyramid Trek Midge and Tick Repellent contains 20% micro-encapsulated Saltidin with added moisturising plant extracts, and is DEET-free. 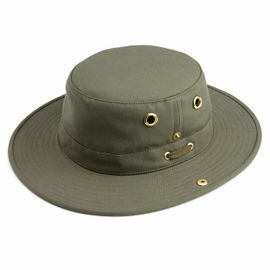 This repellent is sweat and splash resistant, and can be used on children age 2+ years and pregnant women. Apply throughout the day and evening as required by spraying directly onto exposed areas of skin, taking care to avoid the eyes, mouth and palms of the hands that could cause ingestion of the product. 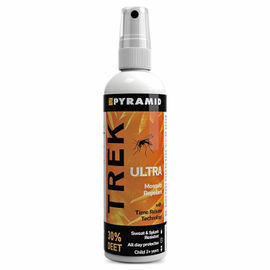 Pyramid Trek Midge and Tick Repellent - 100 ml Pump Spray is rated 1/5 based on 1 customer review. 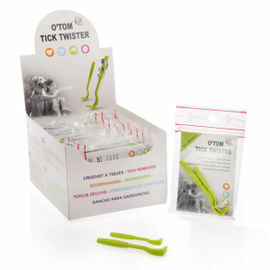 Unfortunately, this product did not work for me personally.